Our linguists have extensive experience in translation services, working as experts in their fields and are profoundly involved in the art, craft and science of language. We also hold our translators to the same standards as all of our contractors and require them to sign non-disclosure agreements. We value you as a client and take all the necessary measures to protect your material. Daily Transcription provides accurate and high quality transcription services in over thirty languages internationally to businesses, institutions and individuals. From personal documents to large-scale multilingual projects, our competitive rates, quick turnaround times, and expert service ensure that your project is handled with care and professionalism. Let us be your language experts so that you can focus on the areas that are most profitable for your business. All of our language services are deliverable in Microsoft Word or .pdf format. When your content matters, let humans do the translation, not machines. There are too many nuances that can get lost in translation – no pun intended – when there’s not someone listening to understand the actual context of your material. 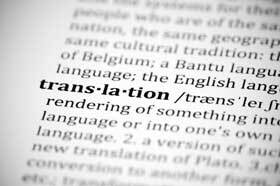 Let us handle the best translation services for you and deliver the finished product, maintaining the original intent of your ideas. Daily Transcription only works with the highest quality translators from around the world. We offer some of the fairest pricing you’ll find, without sacrificing quality. We qualify all of our translators, to ensure you receive the best product possible. We also offer multiple language transcription. With translation services in over 30 languages, it couldn’t be easier to share your content with the world. Use our Upload Media service on our website to send us your documents quickly and securely. We will translate everything from a handwritten letter to workplace product to entire manuscripts. Turning the spoken word to text is the most common type of transcription. With literally hundreds of applications for transcripts of audio to text translation, why wouldn’t you have it done? The benefits of reaching out to others outweigh the cost tenfold. Make your material accessible to anyone regardless of his or her abilities or language. Daily Transcription offers quality subtitling for television, film, video, and webcasts. 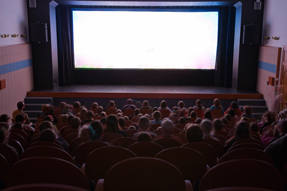 We are a leader in providing subtitling and captioning services for the entertainment industry. Subtitling is one of the most sought after services provided by us. There are two critical aspects when creating subtitles for our translation services. The first is the foreign language translation process. 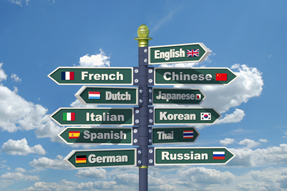 All languages are different and require specific verbiage to relay different meanings. The second aspect involved is timing. Daily Transcription ensures your project will be timed correctly and retain the material’s original meaning. Our translation services frequently provide work for one or multiple speakers narrating in the form of voice-overs. Voice-over dubbing has been growing in use in order to reach larger audiences to replace the original dialogue and any need for subtitles by translated it not the desired language. This service requires extremely skilled individuals who are fluent in the dubbed language and can deliver it with expert timing. Unlike translation for other services, a verbatim transcription is not always the best choice, making the translation for dubbing also a very specialized skill. It’s important to choose a company like Daily Transcription that you can trust. Ready to speak with someone at Daily Transcription about your translation project? Contact us today or fill out the necessary paperwork.